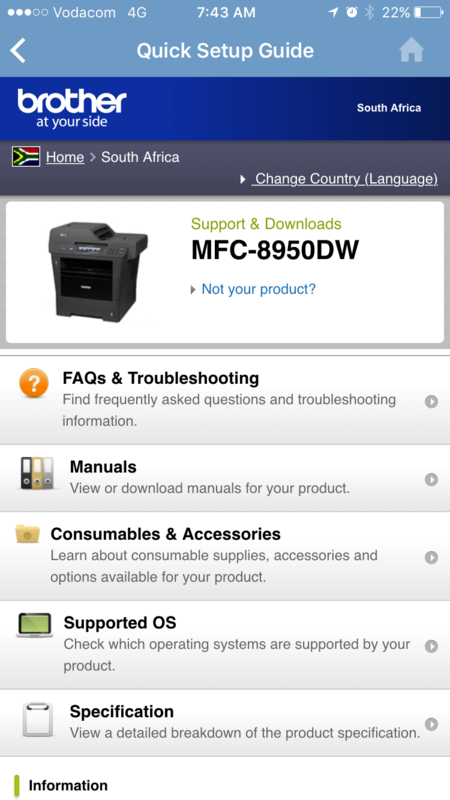 Brother SupportCenter is a mobile App providing the latest support information for your Brother product. 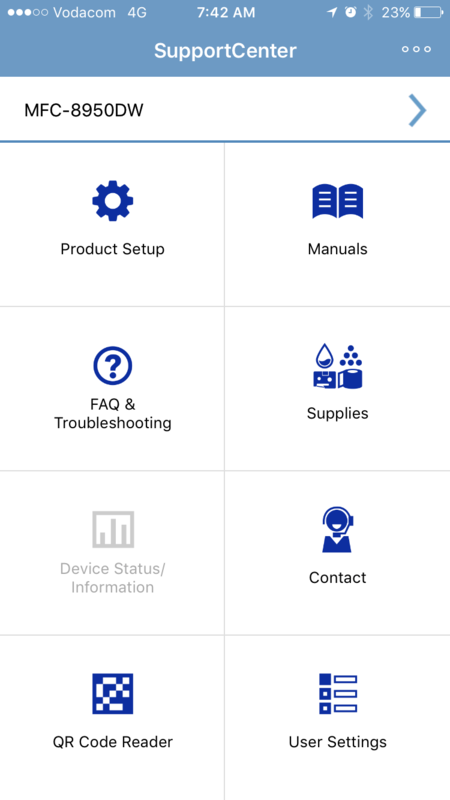 The free and easy-to-use App gives you access to set up information, product manuals, Frequently Asked Questions and troubleshooting tips. 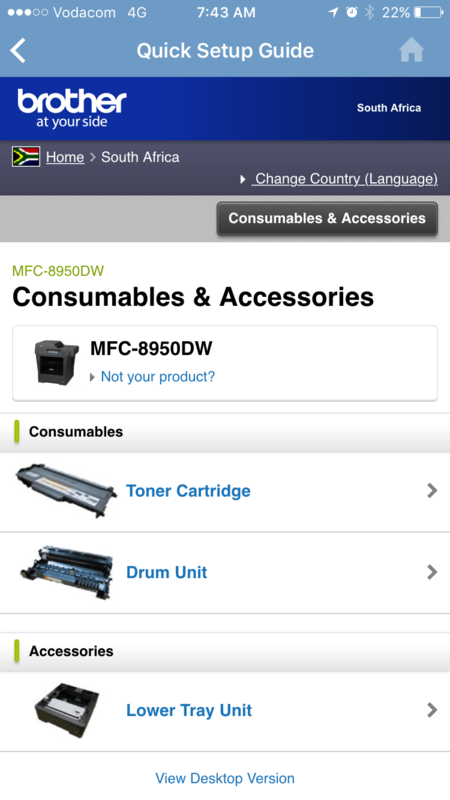 Watch product setup videos or view the quick setup guide. 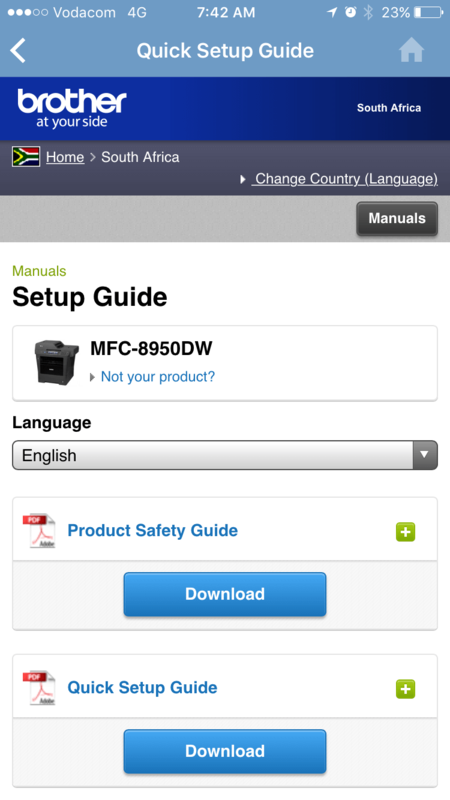 Access product manuals and reference guides for your specific product. 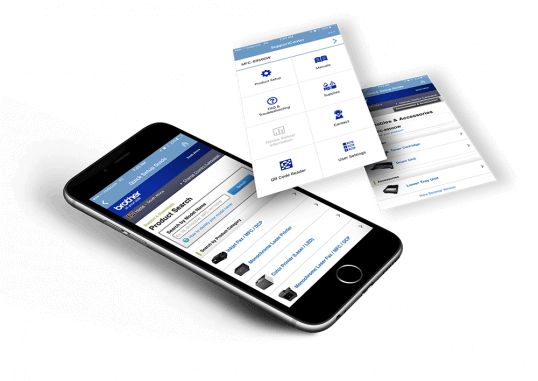 If you need to contact us for support there is a direct link here. 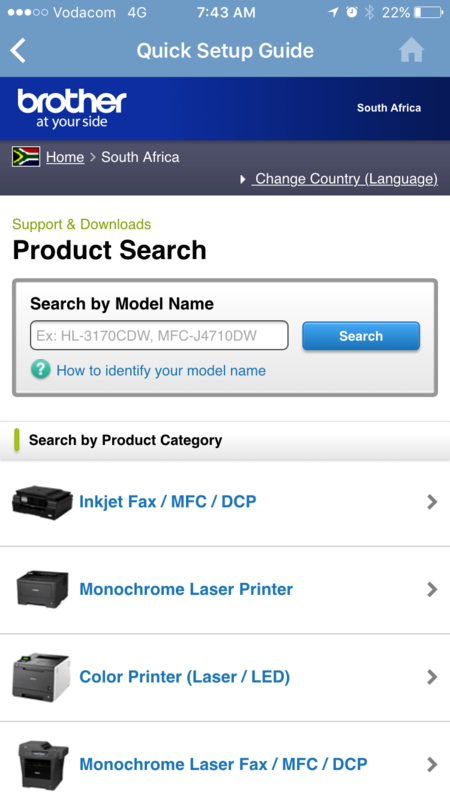 If you need product codes for your ink or toner or want to authenticate your supplies. 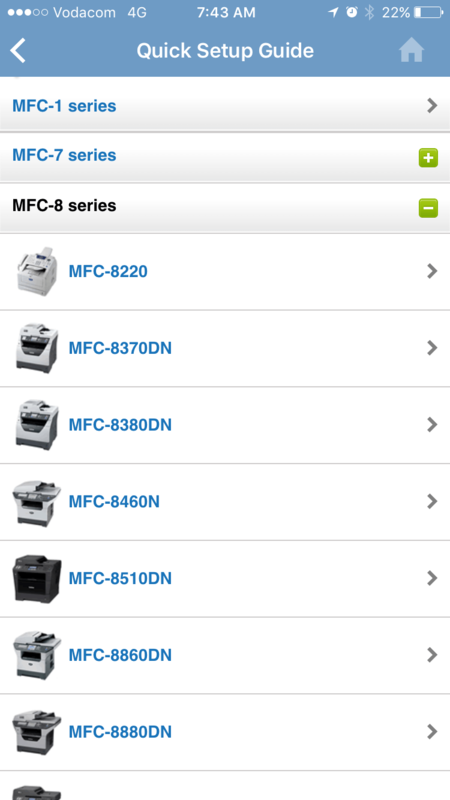 You can scan QR and Data Matrix codes assigned to Brother products or manuals to obtain more information.